Beautiful new 2 story home in Kindred! 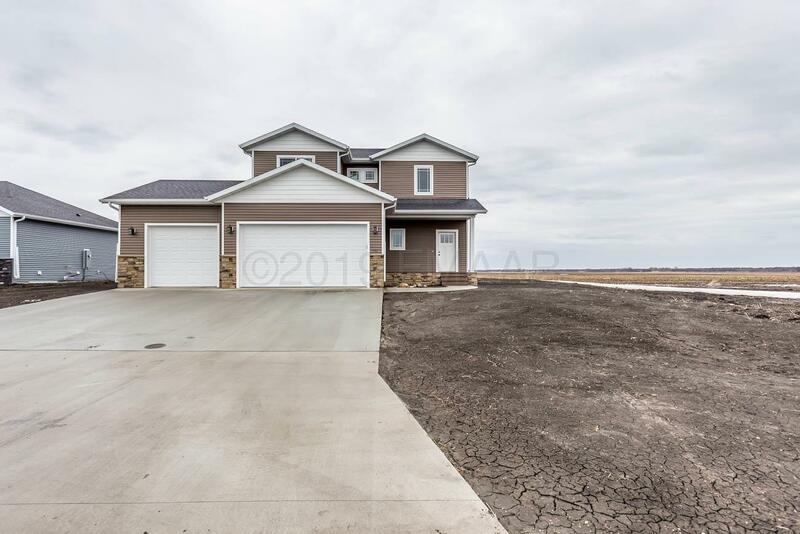 This home features many upgrades including quartz countertops, upgraded flooring, tile floors, white trim & 3 panel doors. Kitchen upgrades include gas range with hood, oven/microwave combo, tile backsplash, kitchen island, pantry, custom hickory cabinets & quartz counters. The master bedroom is located on the 2nd floor along w/2 additional bedrooms w/walk in closets, full bath & laundry. The master suite features a large walk in closet, heated tile floors, double sinks & tiled walk in shower. The garage includes a floor drain. Take advantage of the 2 year tax abatement as well as the low yearly specials payment! Located in the Kindred School District!! Photo of similar home. Bedroom: All with walk-in closets!